Sun Lakes AZ Realty can help you find a home that will make you feel like you are on vacation every day? 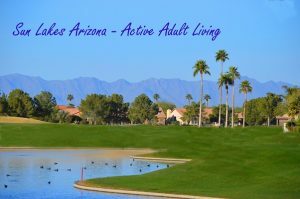 Sun Lakes is one of the top Arizona Active Adult Retirement Communities. With that in mind, you will have to decide each day whether to golf, play tennis, swim or choose one of the other activities offered. 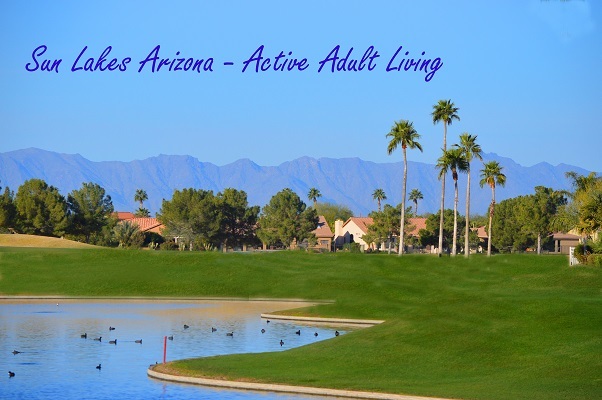 Sun Lakes Arizona offers five communities, each with its own resort amenities. Sun Lakes is conveniently located in Southeast phoenix bordering Chandler and is just a half hour away from major airports. While the weather is great and amenities abound, Sun Lakes has much more to offer. Finding a great real estate team will be key to learning which of the five Sun Lakes communities best fits your lifestyle. And, it is important to choose a Realtor that lives in and knows the Arizona active adult communities. The Kolb Team lives in Sun Lakes Oakwood and knows the home market better than anyone. We have sold over 130 million in real estate and we are active in the community. And that means we can educate you best on the market, the floor plans and the real estate trends. With The Kolb Team, you will enjoy our expertise, knowledge and the personal service introducing you to Sun Lakes. 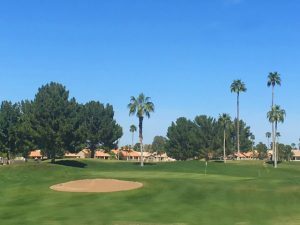 Sun Lakes communities include Oakwood Country Club, the newest, Ironwood, Palo Verde, Cottonwood and Sun Lakes Country Club. Each has its own unique personality with resort amenities and hundreds of clubs and organizations you are sure to enjoy. Let us help answer any questions you may have or give you a personal tour of each community. You will find our Sun Lakes real estate team easy and fun to work with. We will not waste your time showing homes that do not fit your style and budget. See homes in the Sun Lakes gated communities here. Or maybe you are interested in a patio home or town home that offers maintenance free living. Whatever it is you are searching, we will help you find it. Watch this short video that offers some information about Sun Lakes AZ and The Kolb Team Real Estate Group. Ready to learn more about Sun Lakes AZ Realty? Contact us here or call 480-440-0849.